Eating a low-carb diet or no carb diet, while rewarding and healthy, is tough. Sometimes you crave food loaded with carbs and cannot stop thinking about it. The foods you ate before going low-carb haunt you; your body will not take no for an answer. One of the worst offenders is pasta. You do not want to give up your favorite meals, and you do not have to. 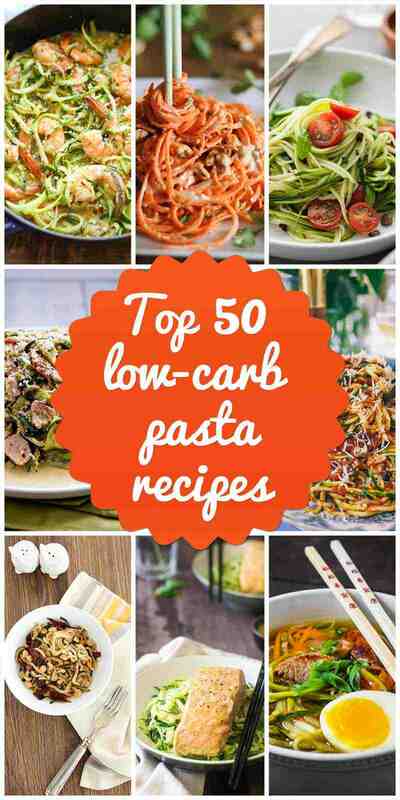 These 50 recipes give you everything that you love about pasta dishes without a large amount of carbs. 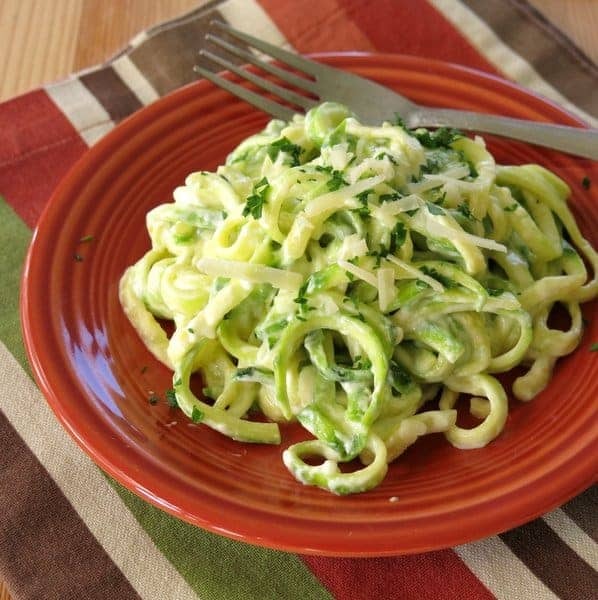 These recipes give you a number of ways to eat a low-carb diet while enjoying pasta. One of the most common ways is to substitute vegetables for pasta. This works remarkably well and can leave you wondering why you missed traditional pasta in the first place. Others remove the pasta all together to give you just the good stuff you loved about the dish. This list shows you how you can reclaim old favorites right alongside ideas for new recipes destined to become favorites. Dig into the list and then get cooking and dig into some pasta. 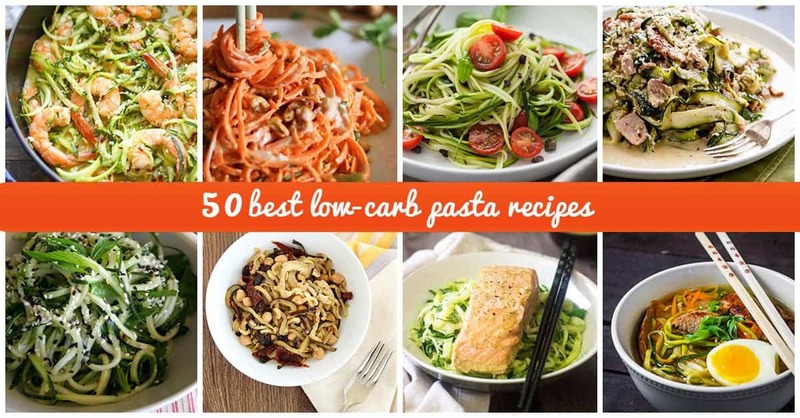 Check Out These 50 Low-Carb Pasta Recipes to Get You Through Your Cravings! 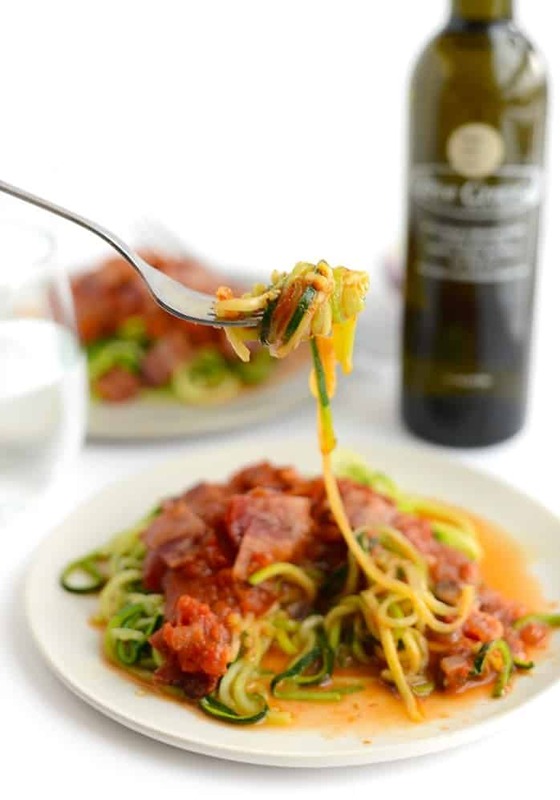 With a spiralizer, you can turn your fresh vegetables into a delicious low-carb spaghetti substitute. When you need a quick and easy meal that still impresses, this does the trick. 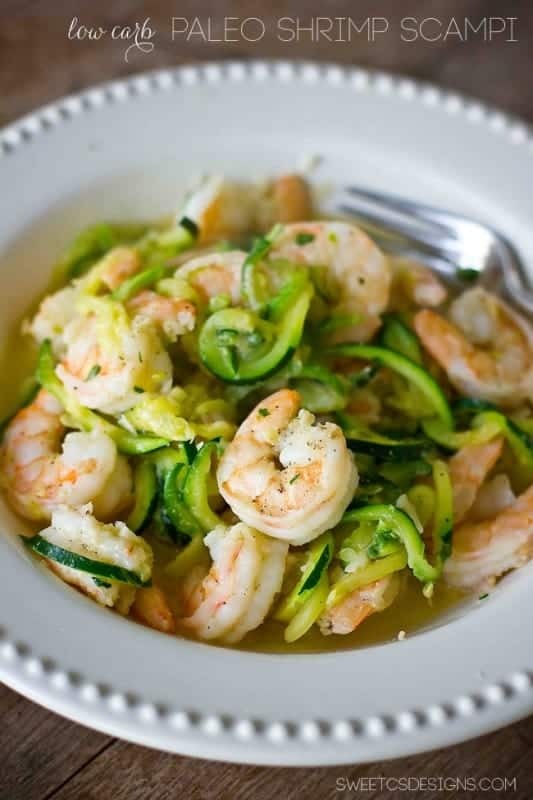 Thin strips of zucchini combined with garlic, shrimp, and lemon juice brings out a fresh and healthy flavor. You might find this light dish in a seafood restaurant, but you can make it yourself in less than 30 minutes. 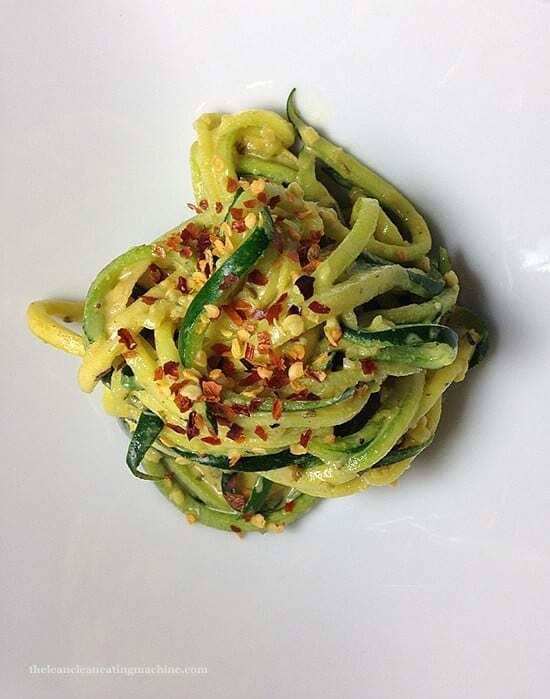 Zucchini goes well in other low-carb pasta as well. Lasagna contains the meats and cheese you crave, but the pasta used to make it contains too many carbs. Sliced zucchini stands in very well with its flat slices and ability to soak in flavor. 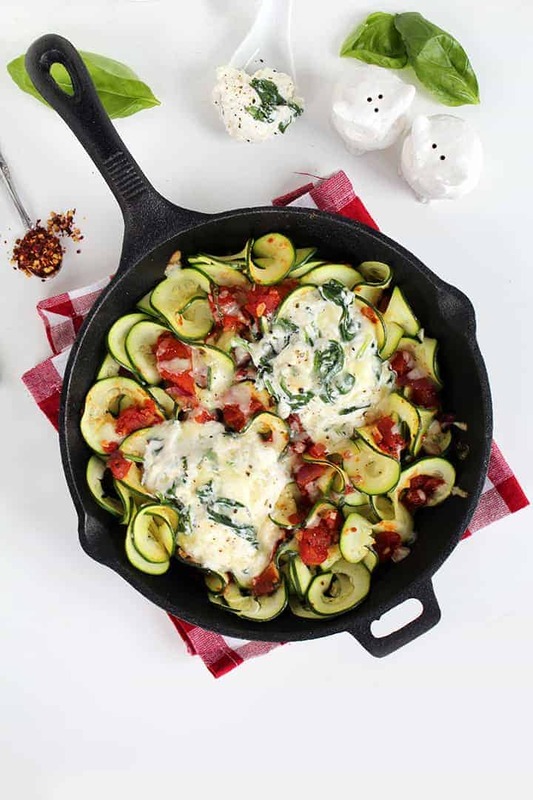 Cheese melts beautifully over it and the zucchini absorbs the oils to spread the taste throughout the dish. 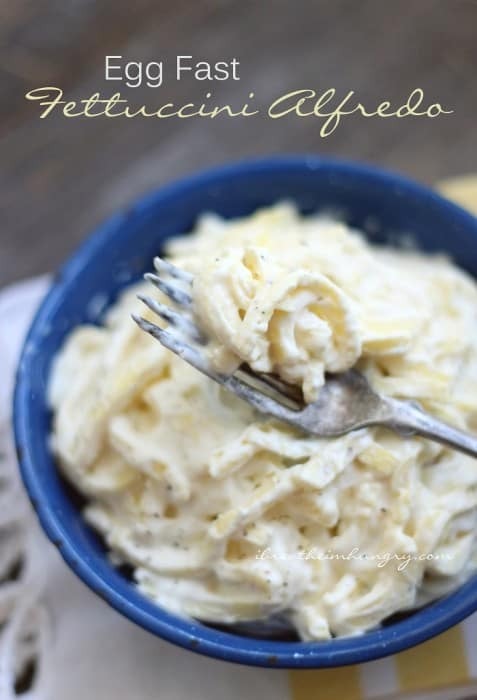 Another dish taking advantage of the wonderful zucchini qualities, this alfredo dish will have your taste buds melting. With a touch of both sour cream and cream cheese, you will love how rich and creamy the low-carb noodles turn out. 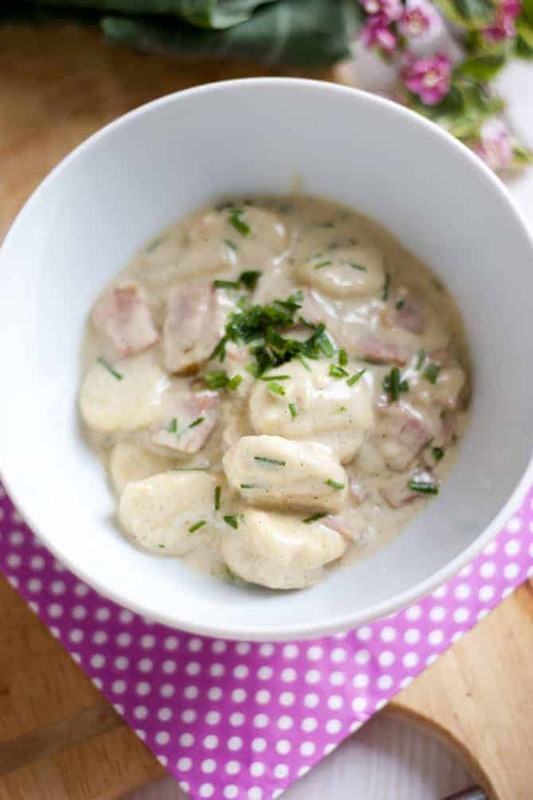 Dishes do not get much easier to make than this garlic gnocchi. You only need a little parmesan, garlic, and egg yolks. Not only does these make a low carbohydrate pasta compared to gnocchi, but it also turns out easier to make. 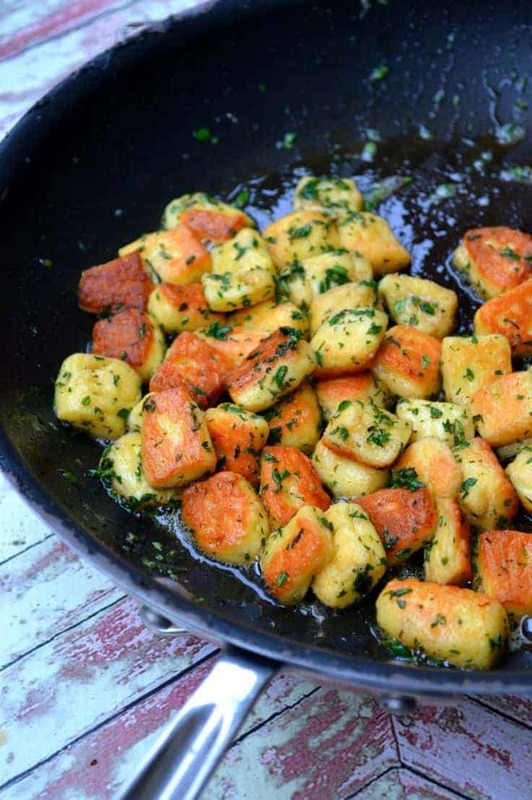 While gnocchi can come out gummy if not make perfectly, this recipe comes out with the right chewy texture every time. Sometimes you need a simple meal just for you, but you do not have to settle on taste with this recipe. You will not miss the noodles very much because this dish focuses just on the best parts of lasagna, and comes packed full of cheese, meat, and hearty sauce. Another quick and easy meal allows you to live your busy life while adding a little flavor to it. 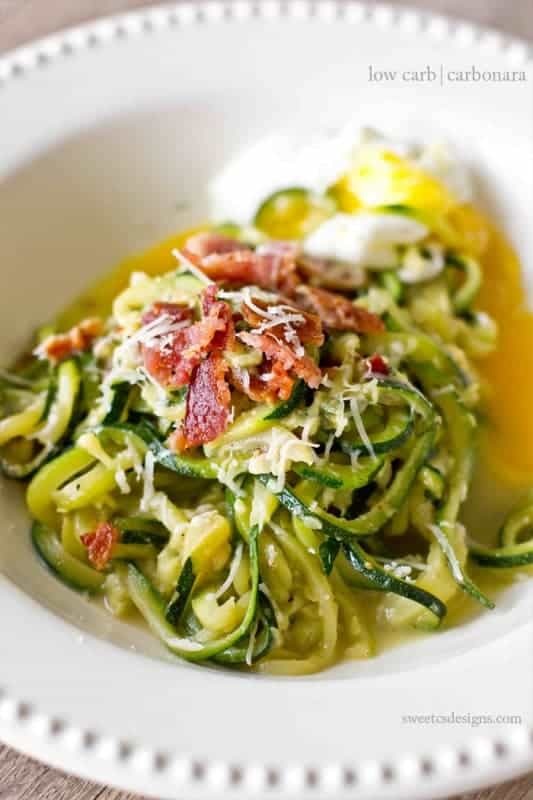 Delicious crispy bacon add to the fresh flavor of the zucchini. But the real secret of this dish lies in what makes it so creamy: the addition of poached eggs to supplement the cream. You make this gnocchi from among the best low-carb food around: cauliflower. By adding tender cauliflower to egg yolk, coconut, almond, and nutmeg, you get a nuanced gnocchi that pairs well with a garlicky sauce. This dish provides you something different, with the texture you love in gnocchi and interesting, layered flavors for the low-carb pasta. Low-carb pasta salad make a perfect cool lunch in the spring or summer. Almost any vegetable works in this dish, so use a variety or stick to your favorite. It makes a perfect lunch at home or out, since it packages much easier than most other low-carb pasta. Low-carb noodles work equally well for Asian dishes as they do for Italian ones. Tangy and savory at the same time, almost any light protein goes well in this dish. Alongside the winning test, it also contains a large amount of antioxidants and beta-carotene to help make the whole body healthier. 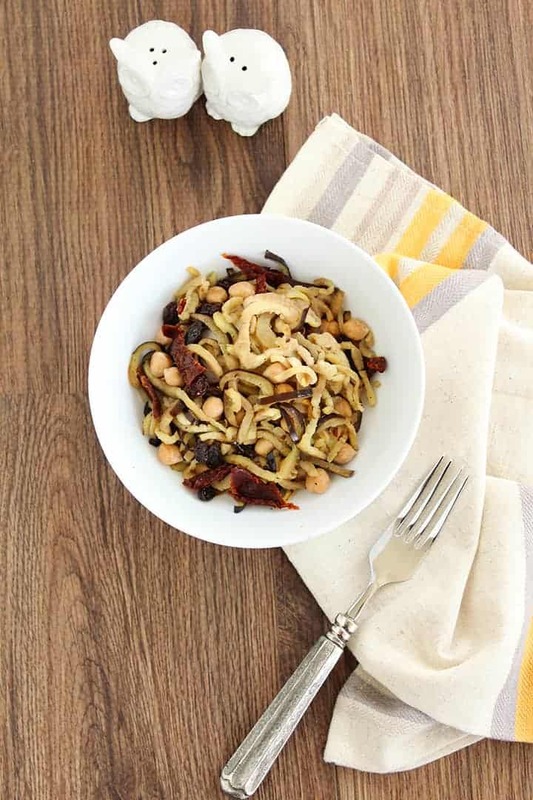 Break out your wok to make this delicious low-carb pasta stir fry. 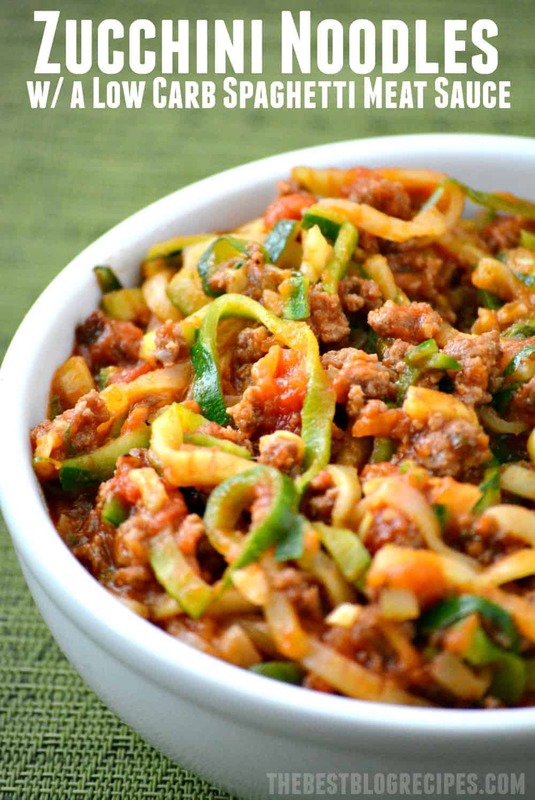 Using zucchini noodles in stir fry will yield a wonderful texture that other uses cannot give. 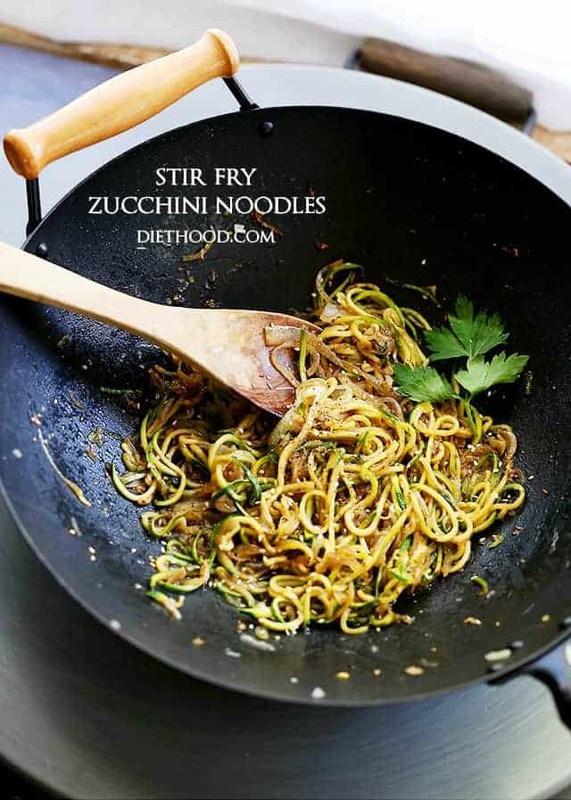 The secret of veggie noodles definitely shows in this dish: you can even fry them to satisfy a craving and they still stay good for you. Throw some sesame seeds on top and you will not ever need to order Chinese food again. 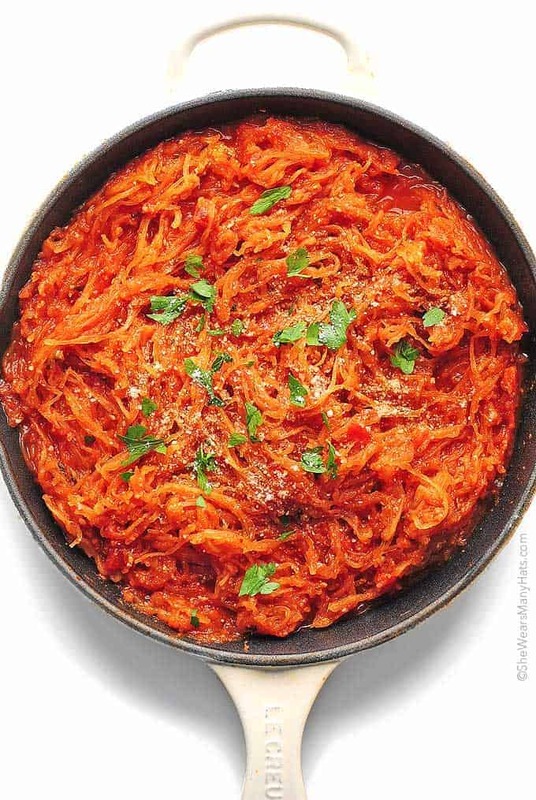 Vegetable noodles can do things that traditional noodles never could, as in this dish where the carrot pasta remains uncooked. 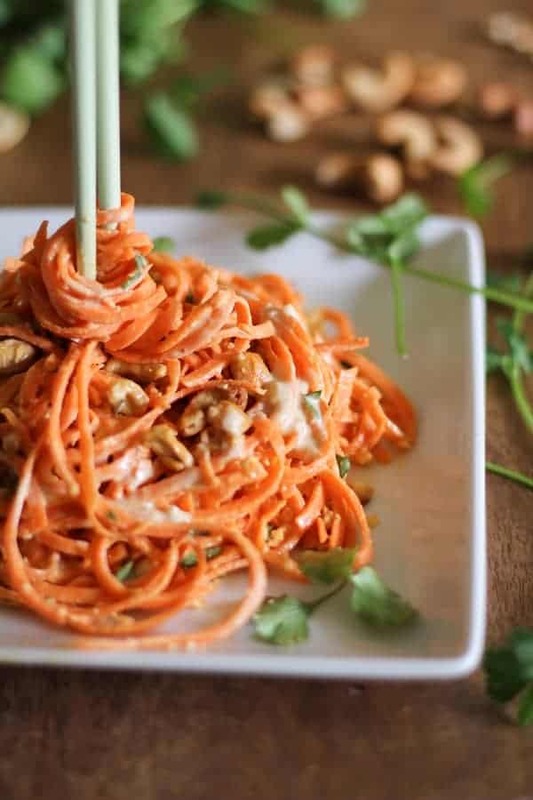 With no cooking required, the carrot noodles still bend but have a satisfying crunch when bite into. Adding peanuts and a ginger-lime peanut sauce makes the flavor bold and hard to stop eating. This low-carb pasta recipe also requires no cooking and delivers a tangy fresh taste that no traditional pasta dish could ever come close to replicating. The tomatoes and olive-caper sauce bring a flavor that calls out the freshness of the zucchini. A dash of red pepper adds some subtle heat that gives complexity without burning. Sometimes you just need the comforting classics, and nearly no carb noodles spaghetti delivers. By roasting the squash, you bring out a hearty flavor that pairs well with a seasoned marinara. 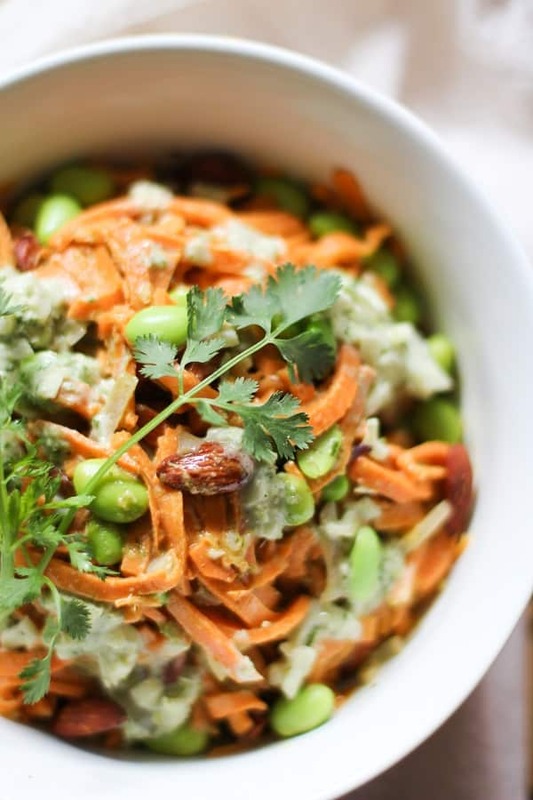 With a healthy serving of Vitamin A and beta-carotene, the dish also tricks you into getting healthier while gulping down some low carbohydrate pasta comfort food. The rich feeling of spinach, mozzarella, parmesan, egg, and ricotta feels sinful, with just the right amount of cream and lightness to keep you eating more. 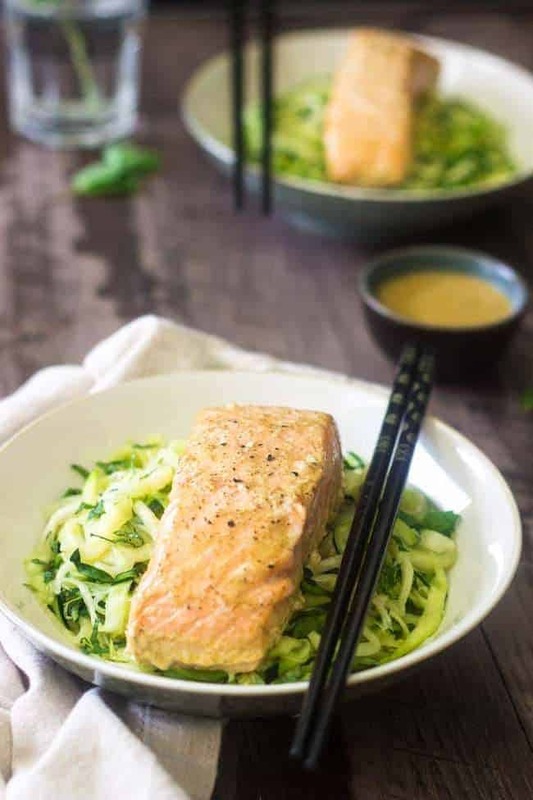 The cream also softens up the zucchini to make every bite practically melt away in your mouth. It tastes so good you may have a hard time convincing your guests that it is good for them. This dish is almost a no carb recipe, but it does contain exactly what you want: flavor. Stuffed full of cheese, butter, mayonnaise, and eggs, this dish truly tricks your brain into thinking that you are eating pasta full of carbs; in reality you have no carb noodles. This dish has everything: it takes less time to make than a box of pasta, has more flavor, and almost none of the carbs. 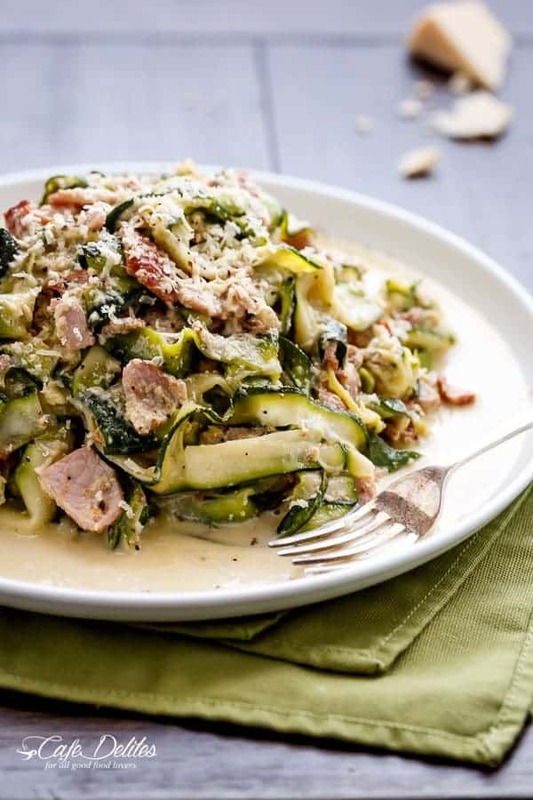 This low-carb pasta recipe is perfectly suited for when you want a cold dish. That makes it great in the summer or as a lunch or dinner to take with you year-round. The avocado balances flavors like basil and walnuts. 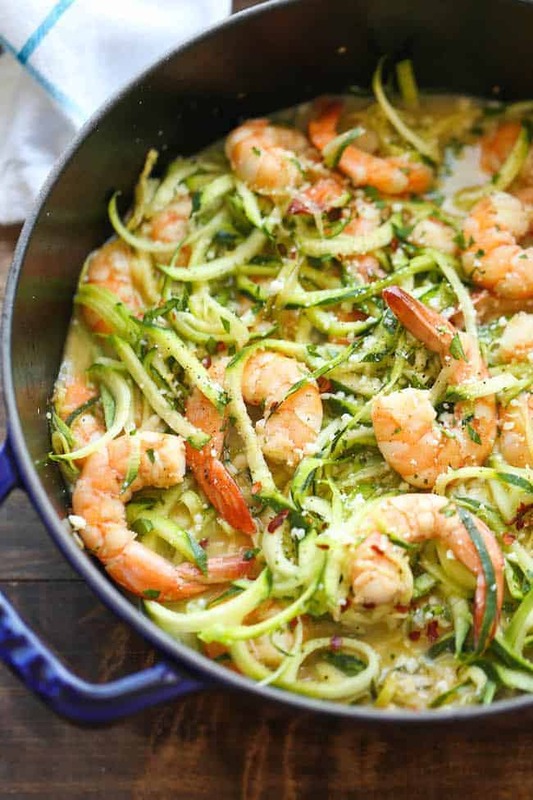 The zucchini can be prepared either cooked or raw depending on your mood, and this dish can be customized with other ingredients you have on hand. Olive oil and parmesan mix in this dish to give a flavor simultaneously salty, creamy, and spicy. 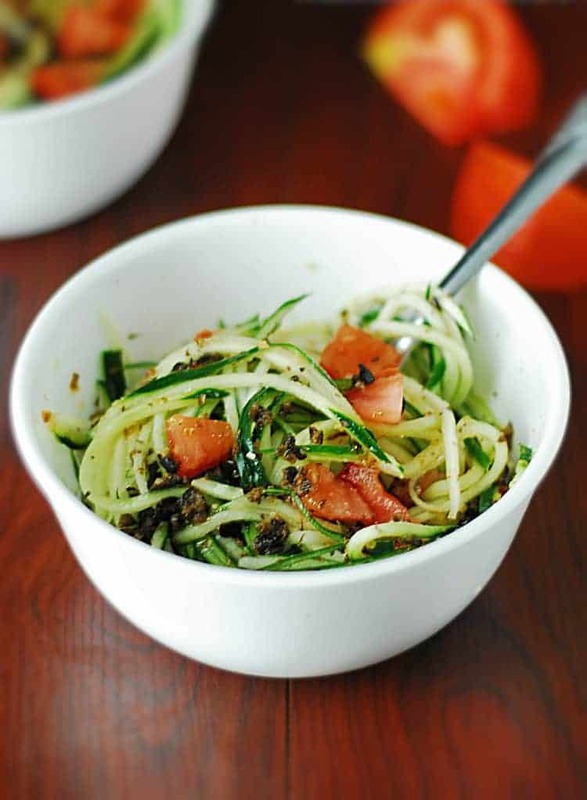 The thickness of the zucchini noodles make sure that the flavor comes through consistently. 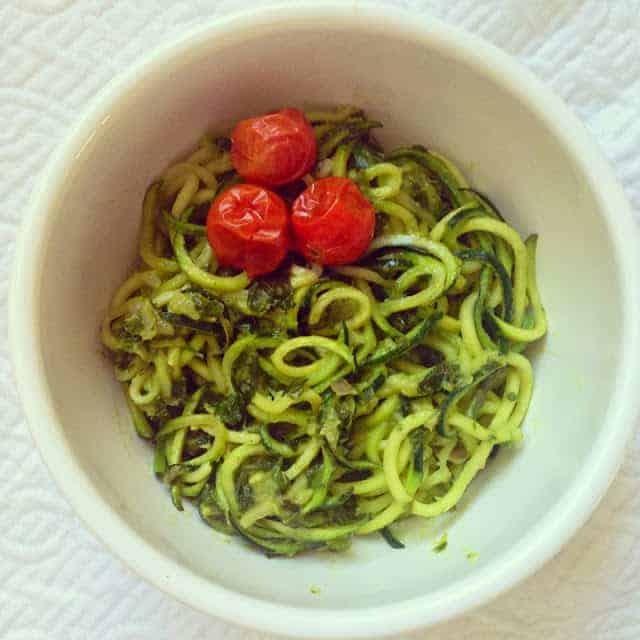 The nearly carb free pasta zucchini also has a lot less calories than this dish might otherwise have, giving you a guilt free excuse to go back for seconds. 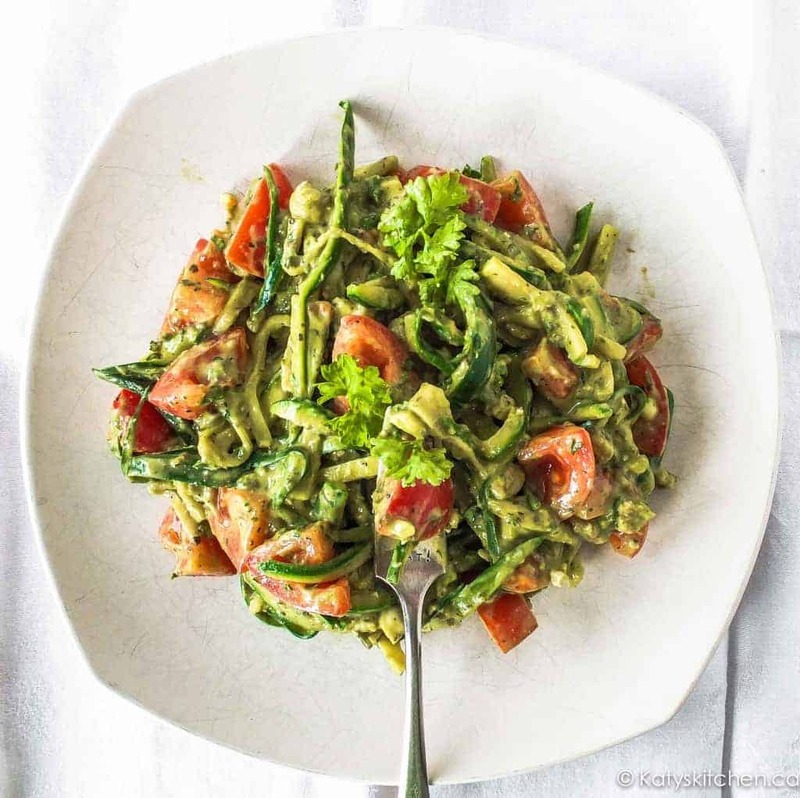 When you need a light but satisfying meal or snack, you do not need to look further than this low carbohydrate pasta recipe. The carrots and fresh herbs never overwhelm the pallet, giving it a fluffy taste that goes down easily. Adding other greens makes it even healthier. When low on energy, you can eat this for a boast of energy and vitamins. You can eat this simple recipe as is or add nearly any spice to give it something extra. The preparation time for this dish is almost non-existent, making it perfect for those nights where you become hungry before you have decided what to make. With how adaptable this dish can be, that gives many options that can be made quickly. Another easy meal, this one is specially designed to be made all at once in a single pan. In only a few minutes, this dish fixes any cravings you might have for favorites like bacon and cheese, with a bit of egg adding a wonderful consistency that makes those craving foods even better. 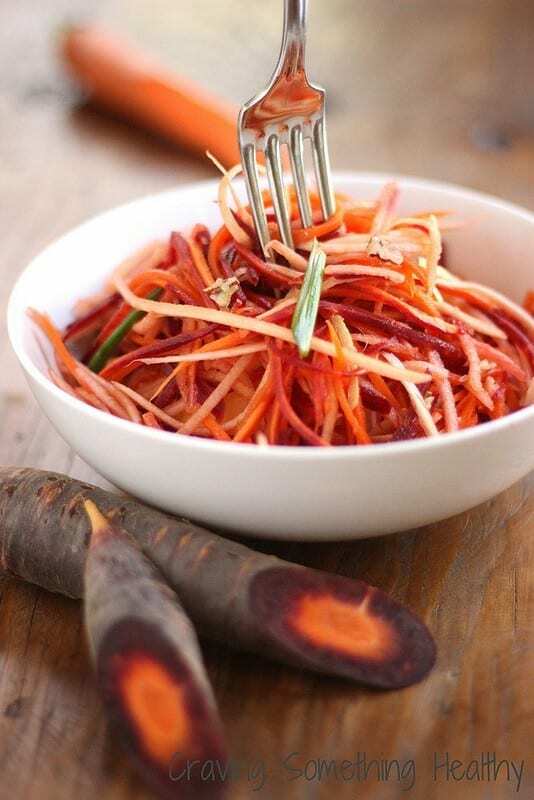 Sometimes your plate needs a little more color, and using orange and maroon carrots together gives you just that. Adding ginger, syrup, and olive oil to the carrots makes it a robust dish by itself. But that does not mean that you cannot easily add proteins to this uniquely-seasoned meal. This dish gives you something different but exceedingly refreshing. 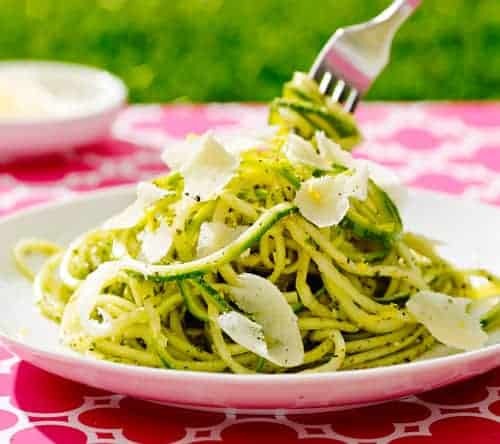 Cucumber is a nearly no carb pasta, and combining with ginger gives a cooling effect and a delightful dish during hot seasons. 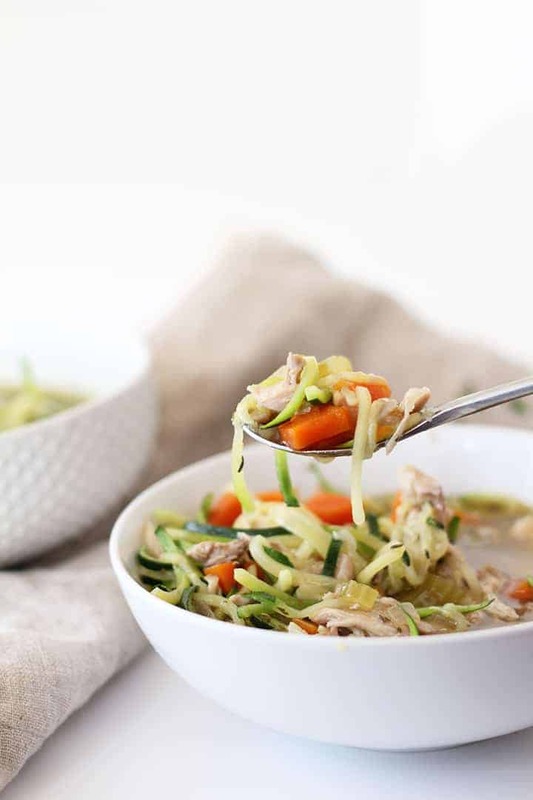 Low in calories and high in water content, this also refreshes you after a hard day or a workout with as close as pasta can get to a no carb recipe. Many vegetables make great noodles, but eggplants give a unique texture. With such a soft, supple flesh, it serves as the perfect base for a sweeter noodle dish. This soft noodle goes great with dried fruits, with the smooth texture bringing the sweetness to the forefront. After dragging yourself in from the winter cold, you want a hearty and hot meal. This low-carb pasta recipe hash comes out piping hot right off the skillet. 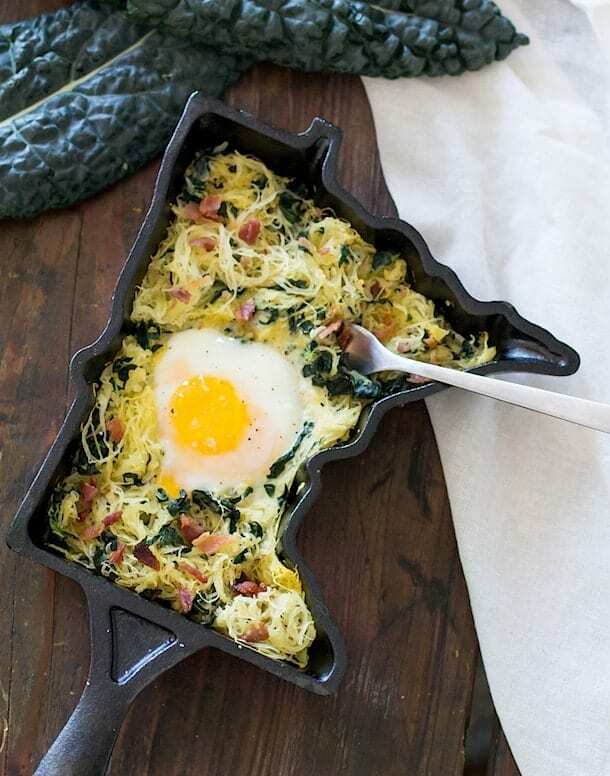 The egg makes it great as either a breakfast or dinner. Though low calorie, the heartiness of the ingredients mixed together makes it nonetheless filling. The key to rich, bursting flavor of this meal lies in how the vegetables absorb the butter. This makes every bite smooth and luxurious. The shrimp also absorb flavor well, but with the healthy veggies absorbing just as much, you might find yourself more drawn to the greens. This delicate dish plays with flavors as they combine in your mouth. From the Gruyere cheese to the pine nuts, little accents run throughout. 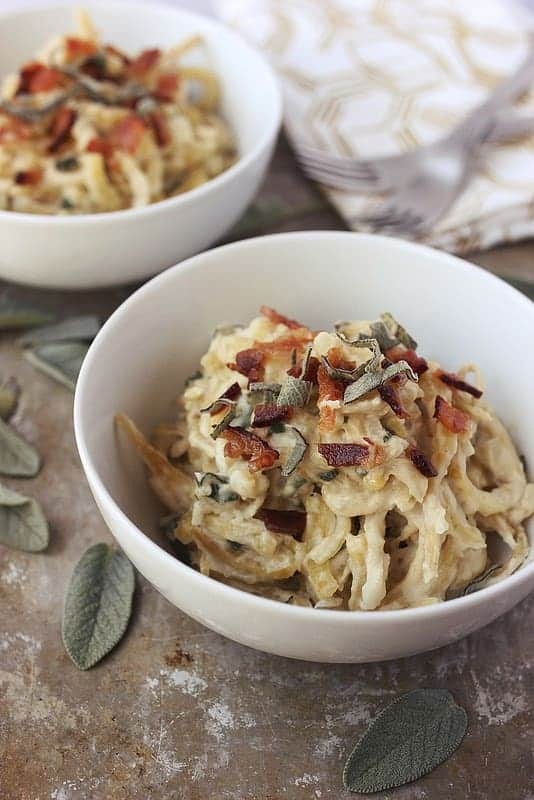 The sweetness of the spaghetti squash really brings out the savory flavors of the herbs and other ingredients. Mediterranean food has some of the healthiest recipes around, and this improves on that legacy by making the dish a low-carb food. The zucchini combined with olives, dressing, and feta taste like a Mediterranean vacation. Freshness and tang complement one another in this quick and simple dish. 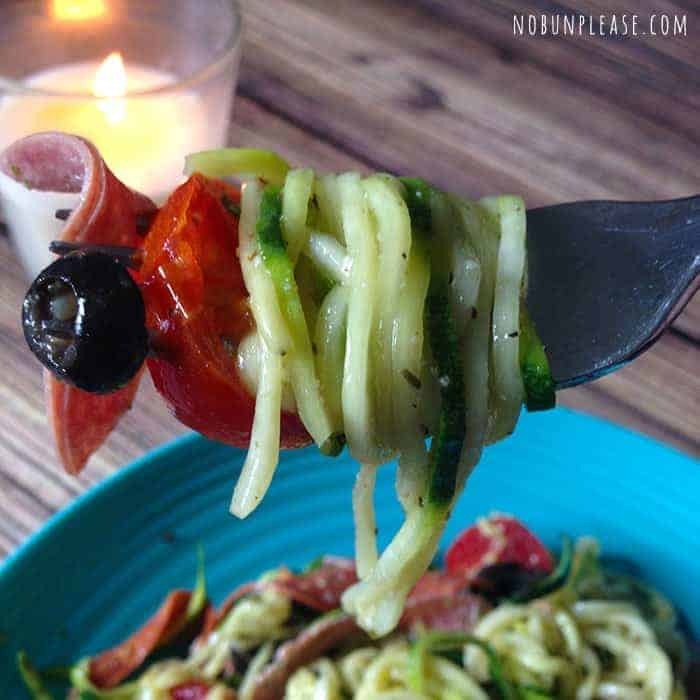 The Italians are not the only ones who can make great pasta; low carbohydrate pasta alternatives can make Asian pasta dishes accessible to you. The combination of healthy spaghetti squash with shiitake mushrooms makes this a truly Japanese meal. Combine it with a variety of greens to enhance the flavor, all while staying very low-carb and low fat. This dish lets the cheese and meat take center stage. 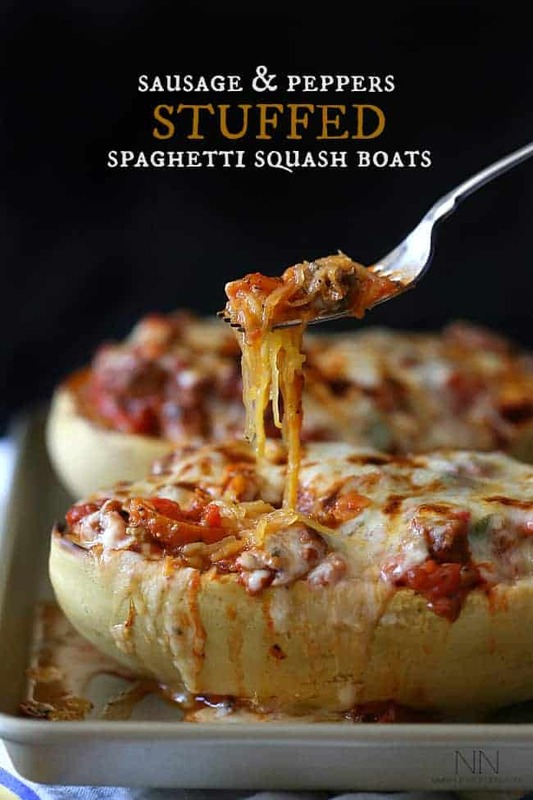 By hollowing out a spaghetti squash, you make a tidy and tasty bowl for holding all the best ingredients. By constructing it in such a way, you make sure to get a big burst of flavor in every bite you take. 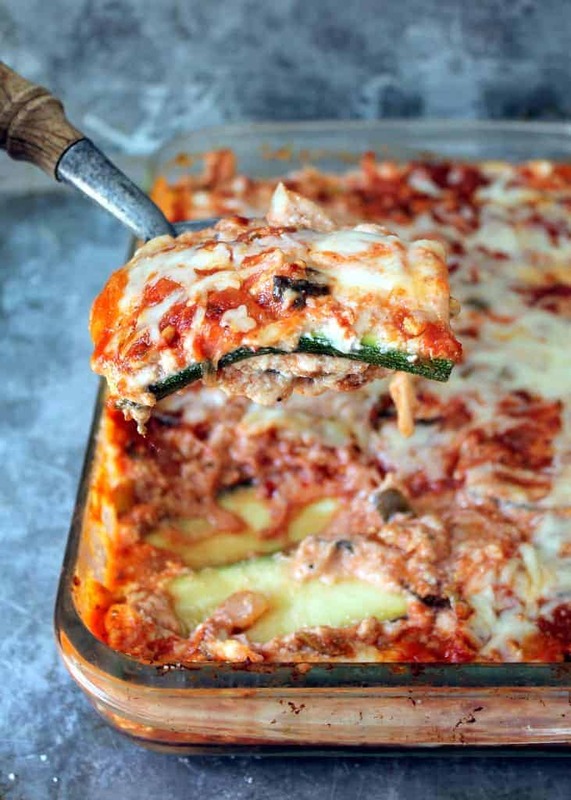 For when you want the taste of a home-cooked lasagna but cannot put up with the time or hassle of baking one in the oven, this dish provides an alternative. By putting the ingredients in a pan and making it on the stovetop, you get the comfort food you need with a lot less effort. 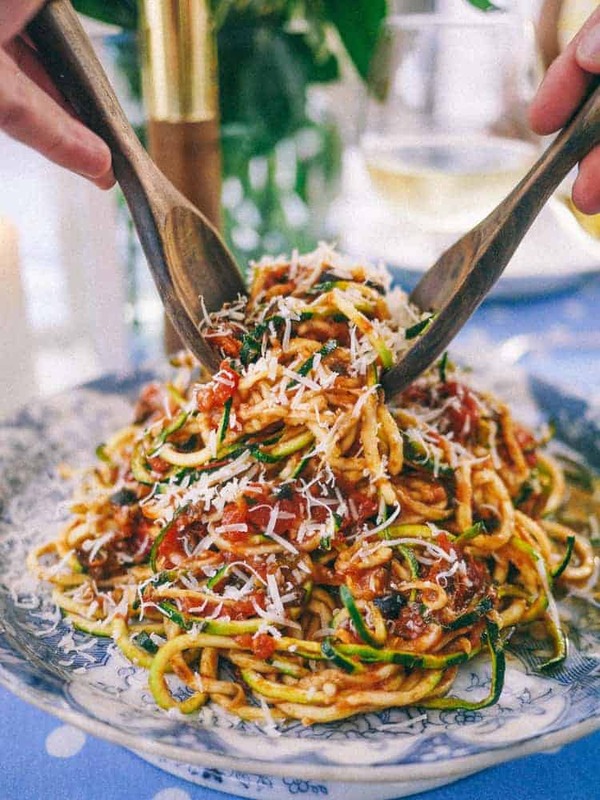 The surprising name for this pasta plays off the original Italian “spaghetti a la whore.” But the dish itself tastes far better than the name implies and fits into a truly no carb diet. The sauce has a wonderfully distinct saltiness to it that never overwhelms but always makes its presence known. The salt does little to hide the healthy crunch that lets you know the dish is also healthy. It makes a very tasty no carb pasta dish. Do you need more bacon in your life? Of course you do. 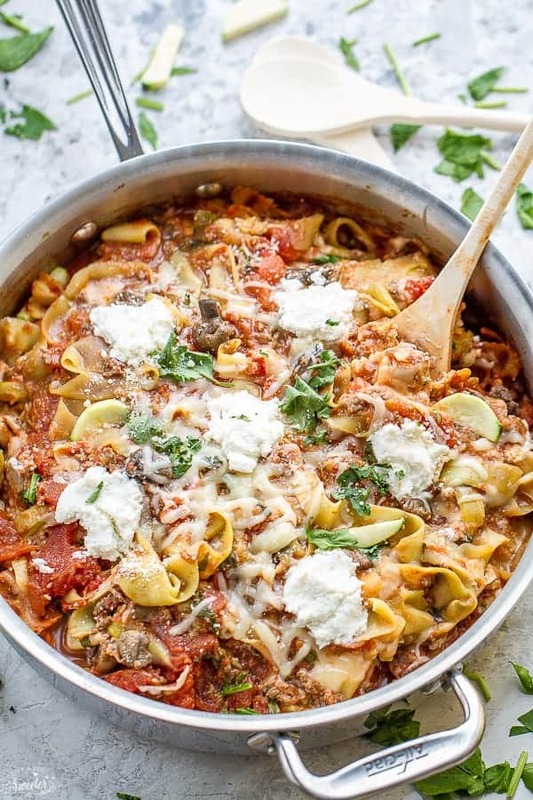 Forgot normal meat sauces like beef or turkey and jump right to this ultimate meat sauce, full of healthy vegetables that do all they can to support the meaty taste of bacon. Put it on some zoodle pasta to make sure the bacon does not become lonely and eat away. 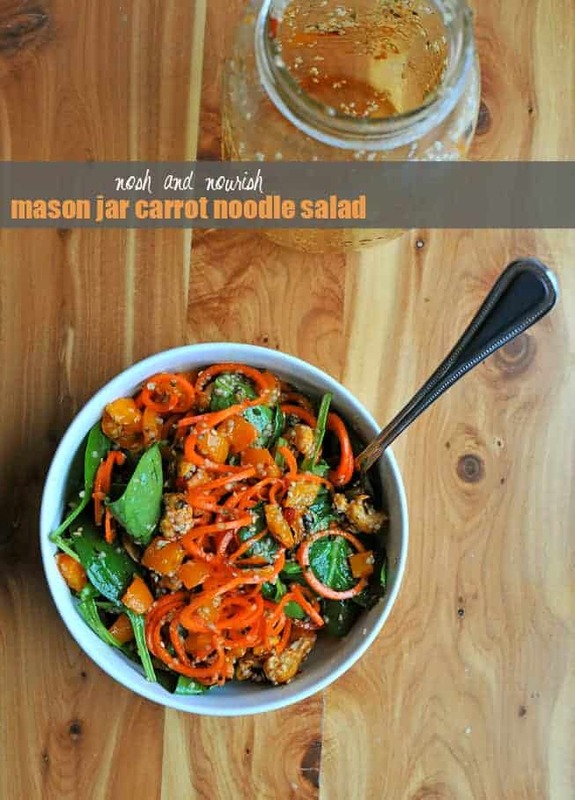 Mason jar salads give you a great option to grab and eat wherever you find yourself. The best part: the Mason jar layering makes sure that everything stays fresh and crisp. You will not have to worry about any soggy greens or loss of crunch. When you find yourself hungry, mix it to perfection right before eating for the perfect experience. 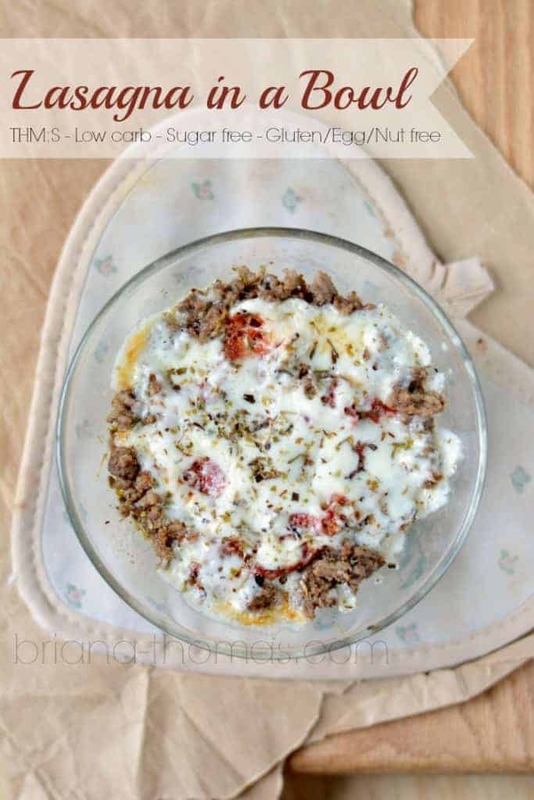 When you have a sweet craving, make this filling dish instead of indulging in the snack foods. 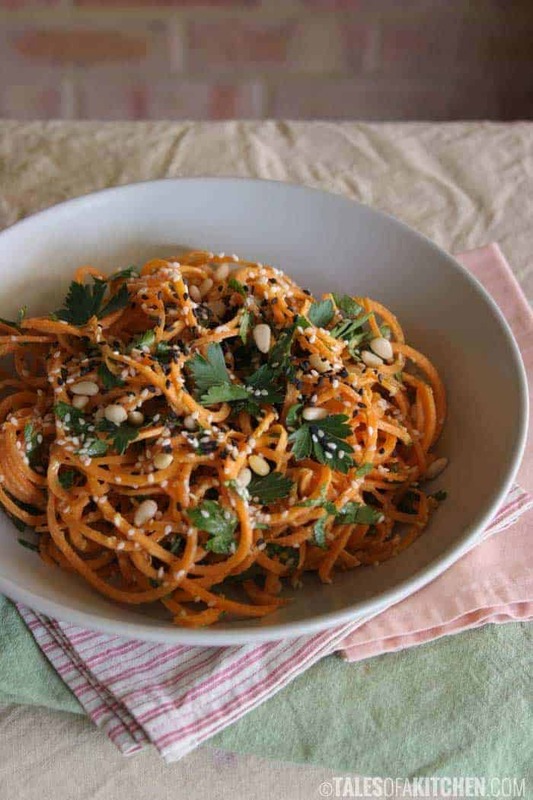 With both sweet potatoes and cashews, this dish has a light sweet flavor without the sugar and carbs. The cream sauce elevates this from a normal snack into a filling bowl. Trick your body into thinking you have given into its desires while staying healthy. Simple dishes combined with the right ingredients can be perfection. This plate does not contain many ingredients; rather, it contains the right ingredients. Mildly sweet coconut gives an Asian flavor to the salmon and mint brings a touch of complexity. The addition of zucchini noodles makes this a complete meal. Only a few ingredients, but perfectly delicious every time. This perfect summer delight screams color and taste before you even take a bite. Vibrant oranges and reds entice, while just a touch of green promises a soothing fresh aftertaste. But the beauty only continues after taking a bit, with every one exploding with flavor. 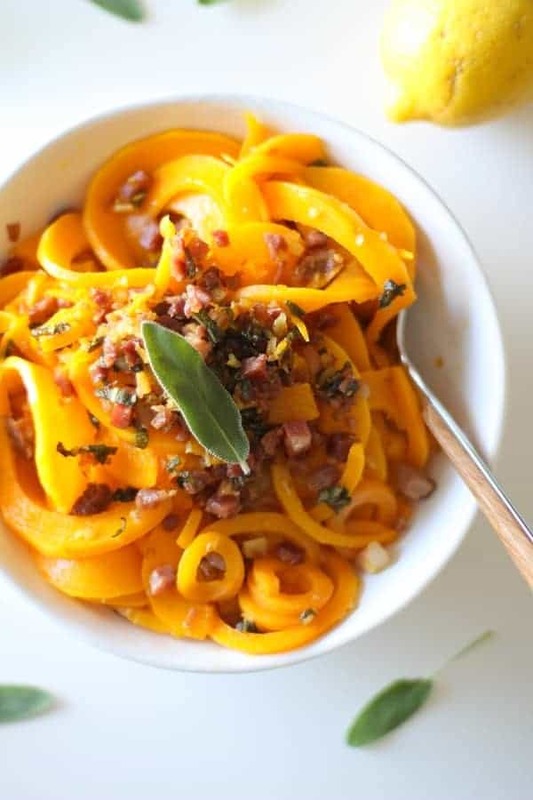 A little sage can do wonders, especially with this great combination of meat and butternut squash pasta. This simple meal can be made in as large or as small portions as necessary and tastes great fresh and re-heated. 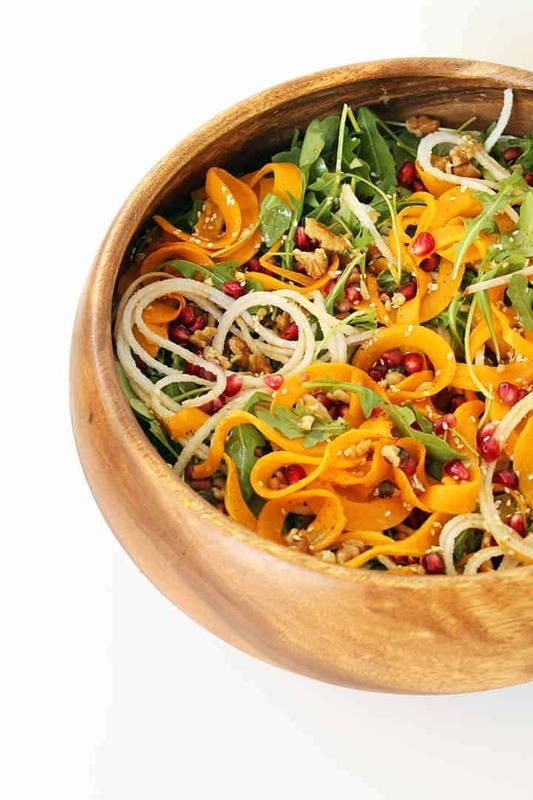 That is the beauty of this meal: deceptively simple and robust, but delicious and healthy at the same time. The endless green colors of this dish tell you that it is good for you, but they hide a surprise: it is also good for your taste buds. 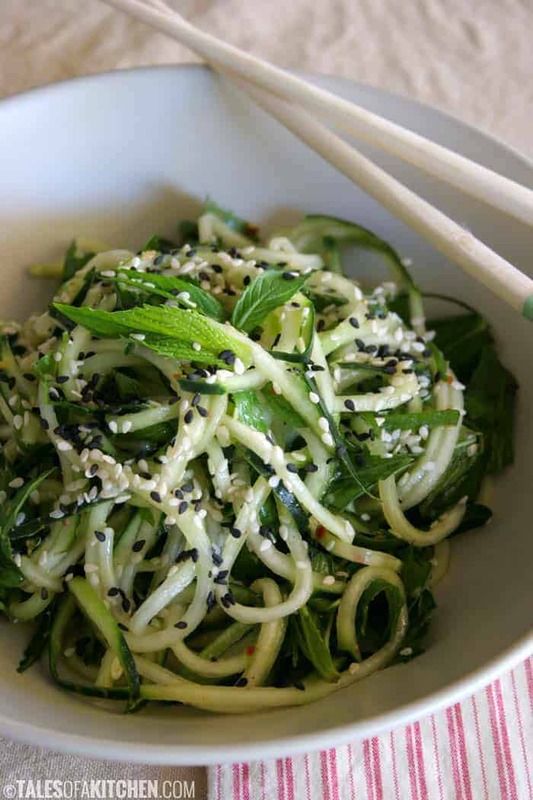 Everything here works because of its subtlety: the cucumber noodles cut thin, the small amount of sesame oil, the hint of red pepper and ginger. But when you taste it you realize that every small thing contributed to a delicious whole. A simple cold salad can go a long way, especially when you remove the carbs and replace them with cucumber. You need this recipe when you do not have much time but need something good and filling. You probably have all the ingredients for this around the kitchen already, so why not put them to good use? Another quick recipe, this takes less than 20 minutes to prepare from chopping to serving. 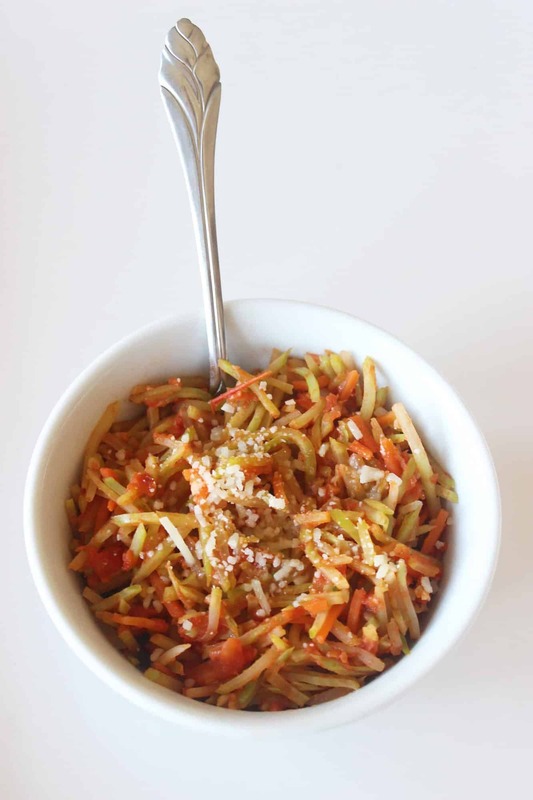 Broccoli slaw gives a unique, slightly more bitter taste than many of the pastas on this list, and you want to see what it has to offer. It pairs so well with the tomato sauce you will wonder if this was what inspired pasta in the first place. This recipe substitutes for when you crave the noodles and just the noodles. 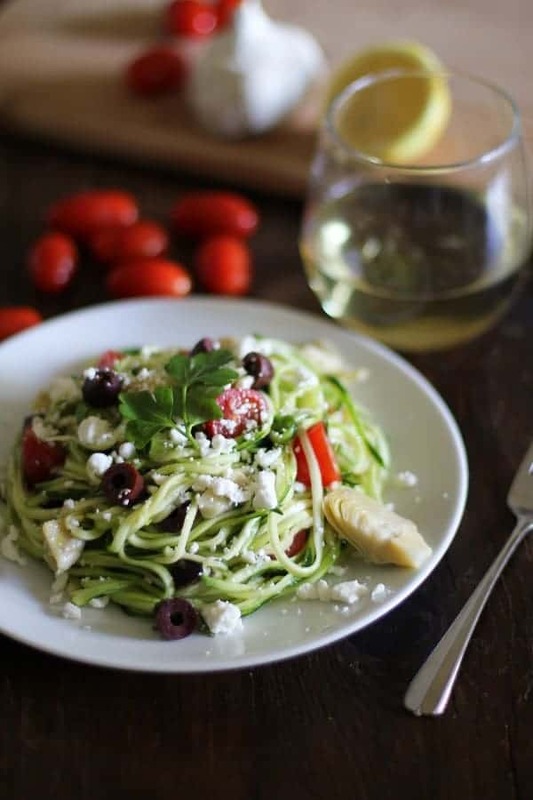 It takes almost no times at all to spiralize, apply olive oil, and put on spices. The secret lies in something counterintuitive: baking the noodles after this. Doing so elevates the dish into an actual meal that you can enjoy with very little effort. 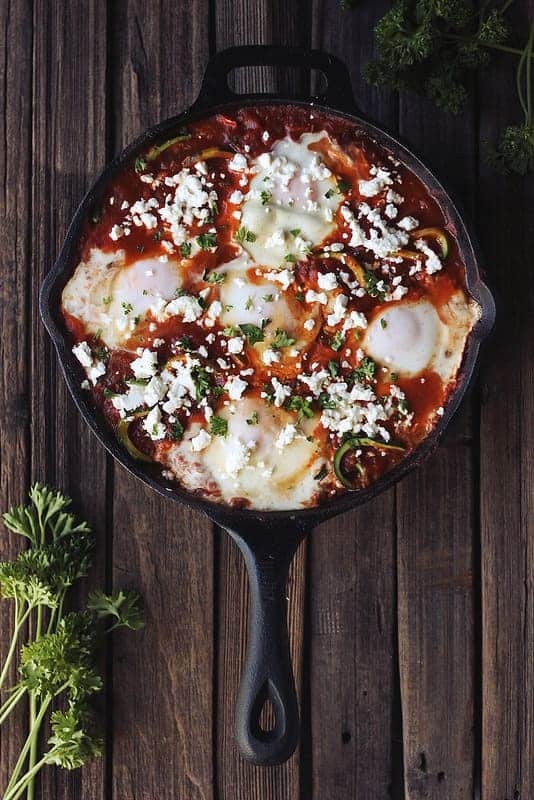 You cannot get much creamier than this Shakshuka dish, with the base of the sauce coming from smooth egg whites and spicy tomato sauce. Common in Israel and Egypt, this combination brings a tempered spice that no other dish delivers quite the same. Can you get more comforting than chicken noodle soup? 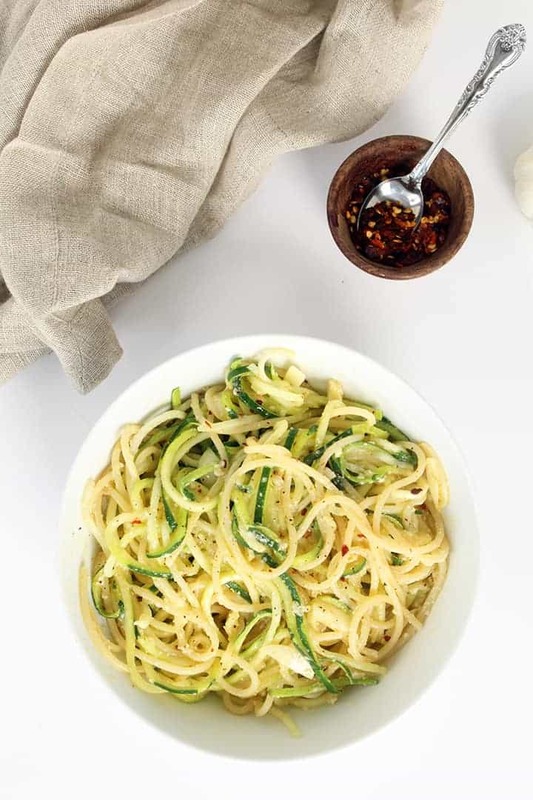 The zucchini noodles absorb broth, giving a salty and savory flavor to everything. Whether recovering from a cold or just a cold night, a piping-hot bowl of this soup will bring the warmth right when you need it. You need no substitutions for this dish. 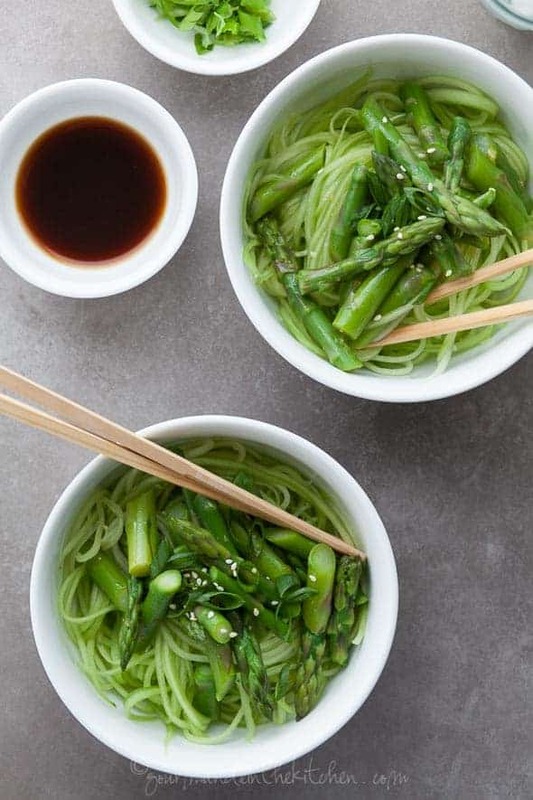 It uses shirataki noodles, naturally low-carb noodles commonly found in Japanese cuisine. 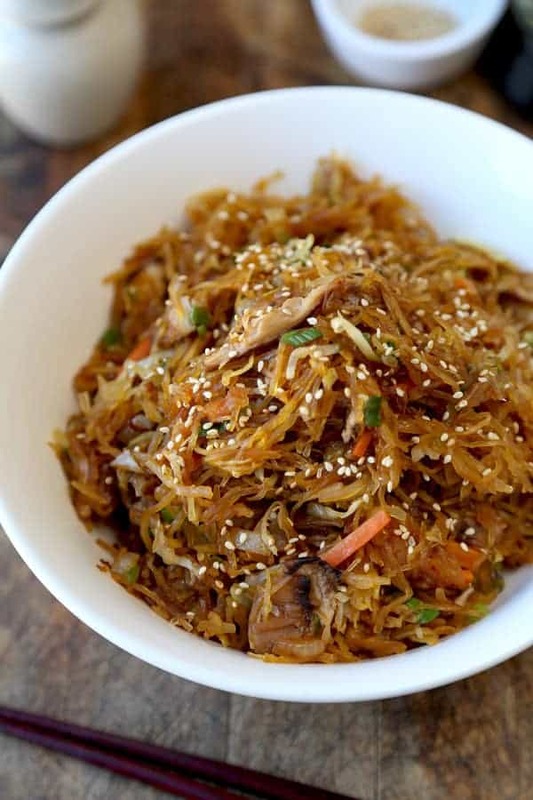 The yam fiber in the noodles gives them a distinct texture similar to rice noodles. 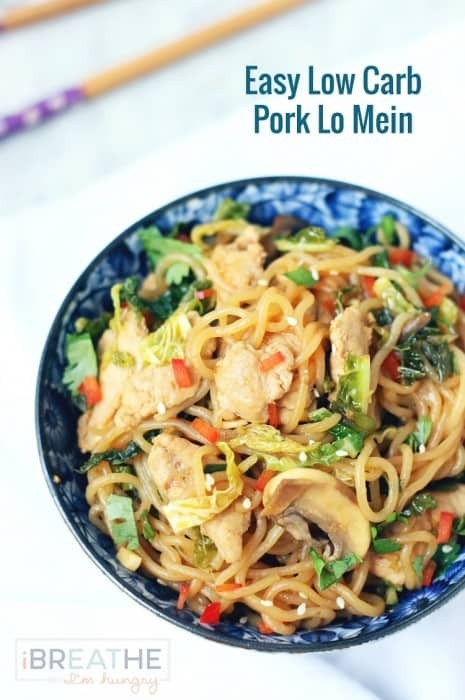 By taking advantage of this noodle and combining with gluten free soy sauce, Napa cabbage, and other ingredients, you have a great Asian-inspired meal. 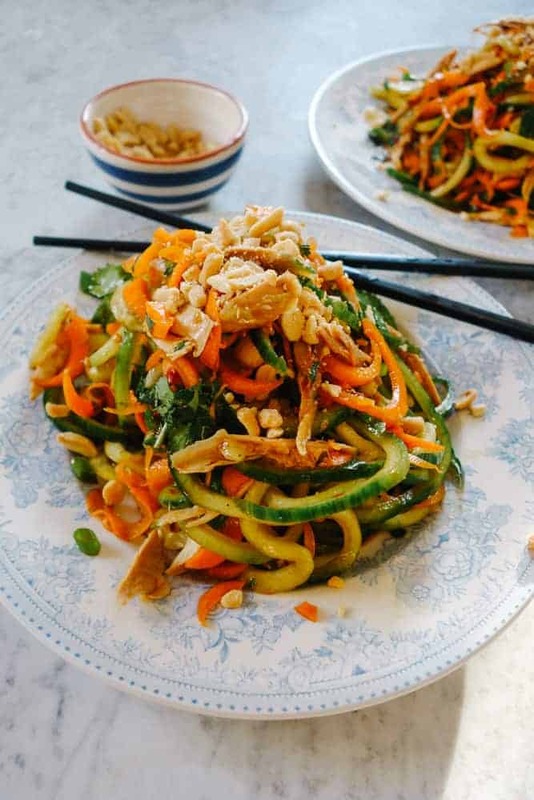 Spiralized vegetables can serve as a substitute for nearly any noodle. 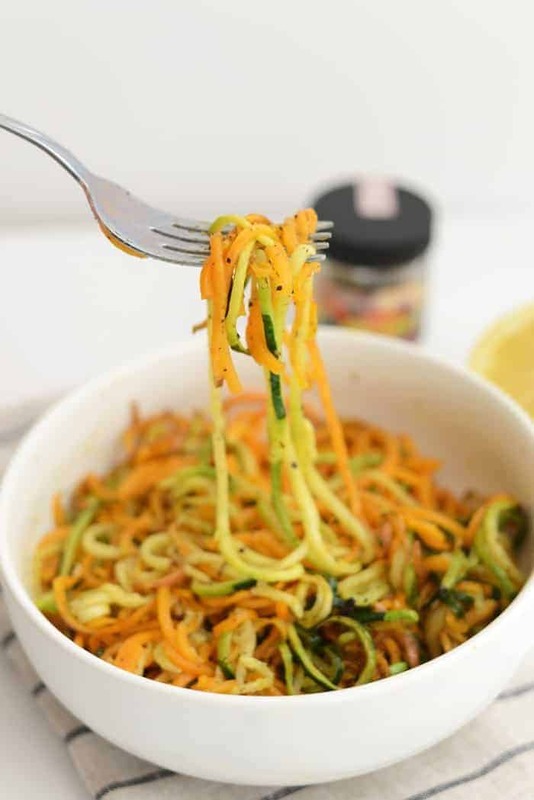 From succulent absorbing zucchini to harder unique carrot noodles, each type of spiralized vegetable gives you something different. This makes dishes infinitely customizable as you experiment by adding your favor veggies. For a twist on cauliflower gnocchi, try this casserole stuffed with gyros meat that melts in the mouth. 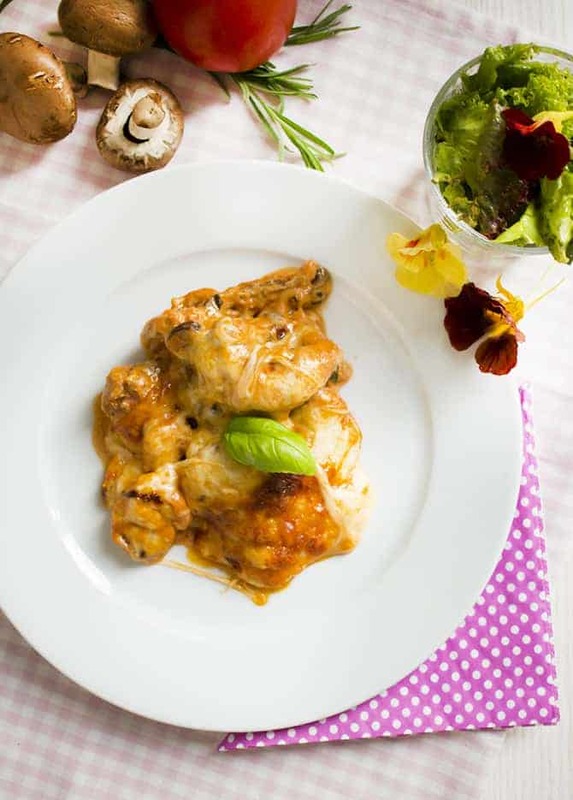 The tastes of cream, cheese, and mushroom, cooked to a perfect golden brown, will leave you wanting more. The flavors of low-carb pasta recipe bowl leap out at you in a series of bold strokes. The best part: with or without a protein added to it, each bowl leaves you full and satisfied. When the average person thinks of ramen, they picture the cheap packaged noodles with a side of MSG. The average person is missing out. 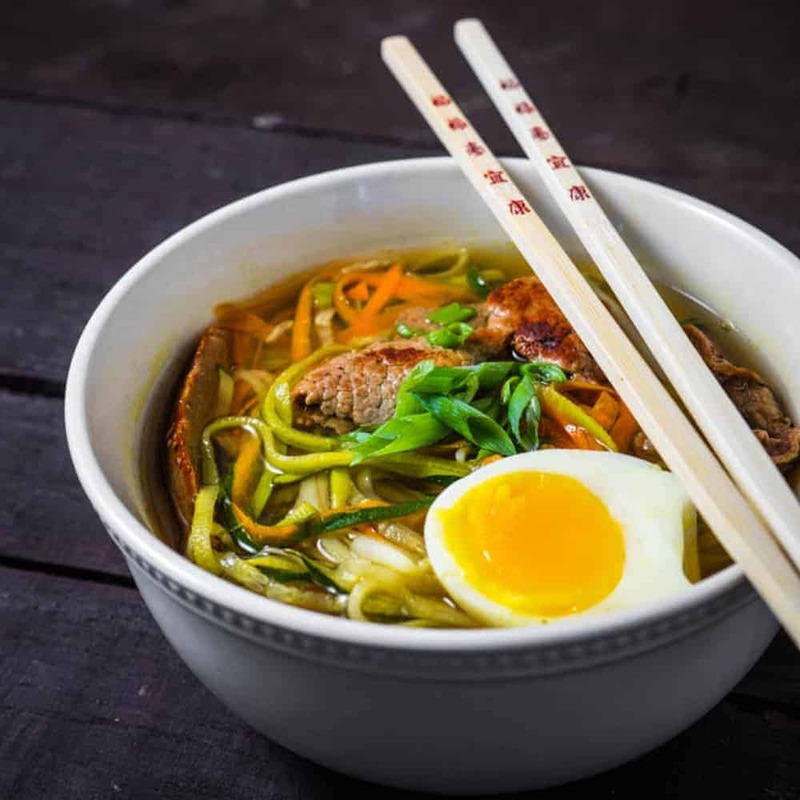 Authentic ramen has a wonderful combination of flavors, and this combination of low-carb pasta, beef, scallions, and eggs will convince you to take ramen seriously. You can taste the garden in this dish. 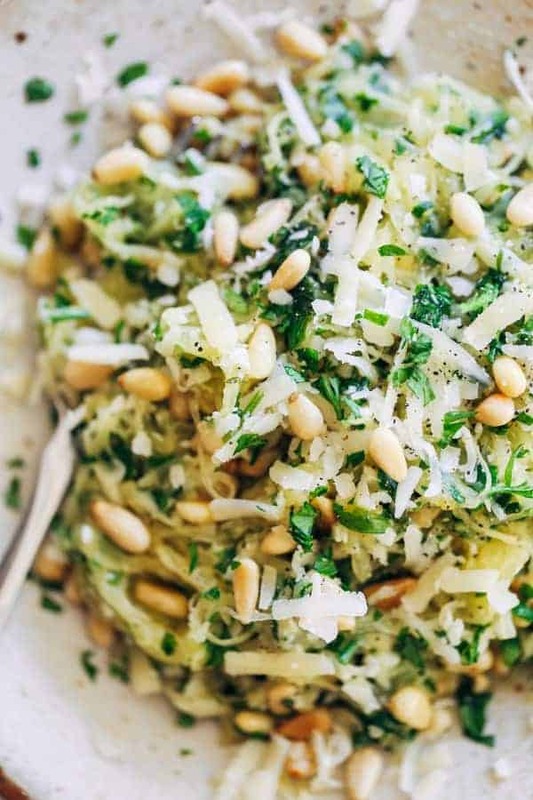 Fresh zucchini sits below fresher basil and almond, with a topping of salty parmesan cheese to hold it all together. Nothing feels better than realizing how full a bunch of tasty greens makes you. The noodles in spaghetti are not the only things that contain carbs in the traditional dish. But this takes care of most of them with low-carb spaghetti topped by a delicious low-carb meat sauce as well. Spaghetti does not have to induce guilt anymore. So, are you ready for low-carb pasta? This list shows you some of the ways that you can still enjoy healthy dishes by eating low-carb noodles or carb free pasta. With these, you can stay healthy while not giving up the tastes you love. Let this list give you new recipes to try and inspire you to look for even more to enjoy. 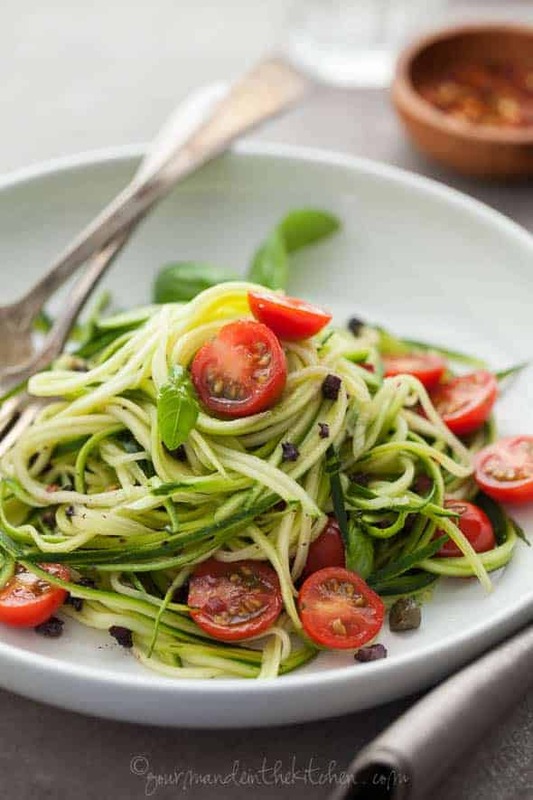 Whether using spiralized vegetables or using a different low carbohydrate pasta, your body will thank for the nutrition, and your taste buds will thank you for the flavor.